Not only did the No. 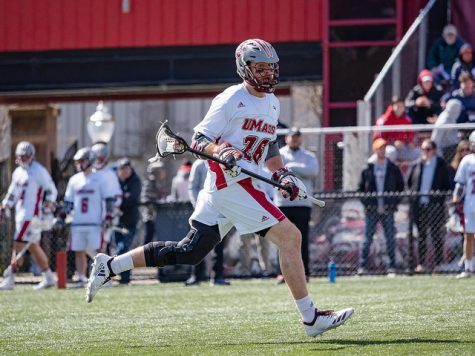 2 Massachusetts men’s lacrosse team add on to its perfect season on Saturday, it put together one of the most impressive 56 minutes of defense this year. 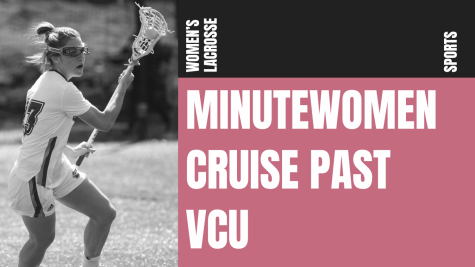 The Minutemen (9-0, 2-0 Colonial Athletic Association) did not allow a goal until the 3:58 mark of the fourth quarter in its 15-3 win over Saint Joseph’s. At the point of the Hawks’ first goal, nearly all the UMass starters, including the back four, had all been replaced in the game by substitutes. UMass coach Greg Cannella said he didn’t hesitate to pull his starters in a 15-0 game, instead of going for the shutout. 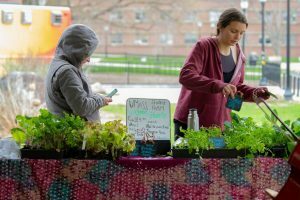 SJU scored the final three goals of the game, but they were essentially meaningless, as UMass had already wrapped up the game. When all was said and done, the Minutemen held an impressive advantage over the Hawks on the stat sheet. 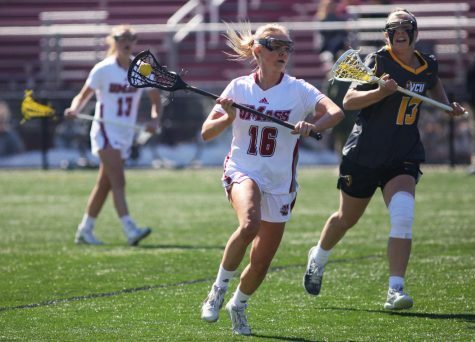 UMass forced the Hawks into 14 turnovers and picked up 22 groundballs to Saint Joseph’s 17. More impressively, though, was the way the defense helped keep the ball away from goalie Tim McCormack. SJU attempted 33 shots on the game – just seven less than the Minutemen – however, only 13 of those shots were on goal. “I think it was a good game plan with Doc Schneider working with those guys, and those guys down low are solid,” said Cannella. The redshirt senior stopped all 13 shots he faced for his first shutout of the season. Backup goalie Reed Goodhue replaced McCormack at the 10:10 mark of the fourth quarter and allowed all three goals. All the credit can’t be given to the defensive four, as the midfielders played a large role in the performance. 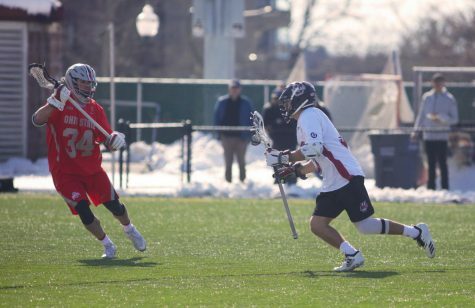 Greg Rushing dished out some bone-crushing hits and Bobby Tyler did a nice job advancing the ball on clears and Anthony Toresco starred on face-offs. Toresco claimed eight of the nine face-offs he took. 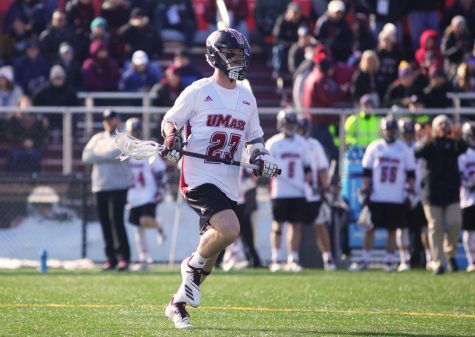 In addition, Joe Calvello went 5-for-8 and UMass had a 14-4 advantage over the Hawks on face-offs. 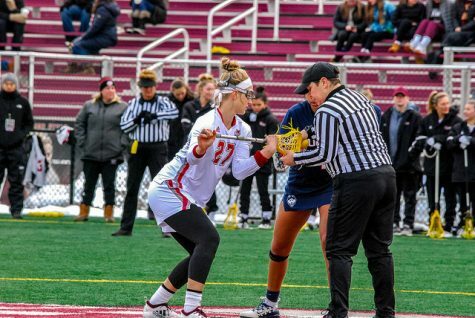 “I think really when you look at the game, we won a great percentage of the face-offs…[we were] playing a lot of offense,” said Cannella. 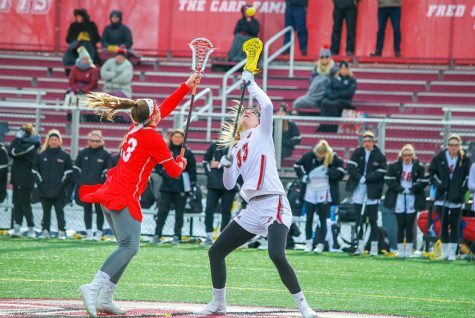 As Cannella pointed out, the ball was in SJU’s defensive end for the majority of the game. 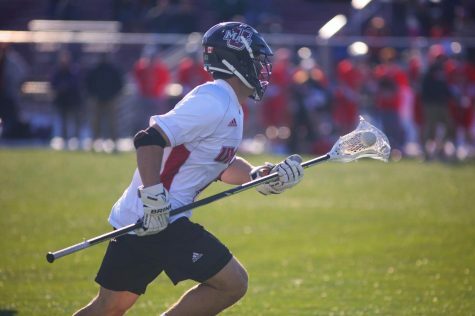 “Usually [the offense] turns the ball over, and we have to hope [the defense] puts us on their back,” said junior attack-man Will Manny, who scored three goals and added five assists. 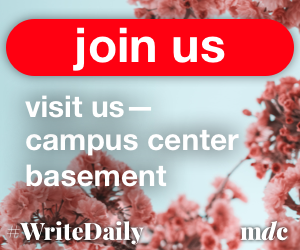 “When we control the game like that, they’re going to say thank you to us, just knowing that we backed them up today and knowing that when Saint Joe’s gets the ball, we’re going to get the ball back and we have to do our part,” said Manny. Saturday’s defensive performance was no anomaly, as the Minutemen have played shutdown defense for the entire season. 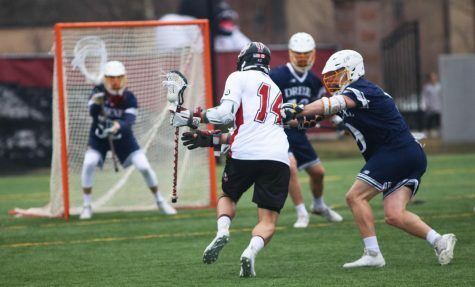 According to NCAA.com, when it entered the Saint Joseph’s game, UMass was ranked fourth nationally in scoring defense, as they allowed just 6.86 goals per game. Now that number sits at 6.56 following the win. 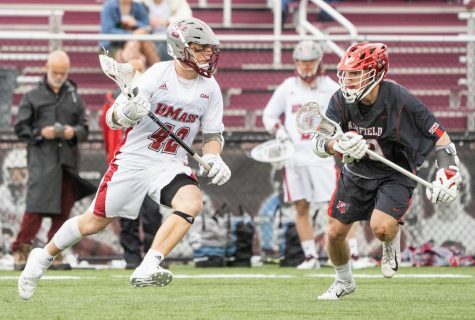 The Minutemen have yet to allow a team to score 10 goals or more in a game, and they have held three teams to five goals or less.